We create and deliver programmes that result in sustainable change and measurable results. The Sales Acceleration Programme is the flagship medical sales training course from Developed Edge designed for sales professionals within the medical industry. Working in close partnership with you and your sales team we create a customised learning journey tailored precisely to your needs. Successful selling isn’t mechanical, it’s personal, and there are key elements which support the journey to successful outcomes. 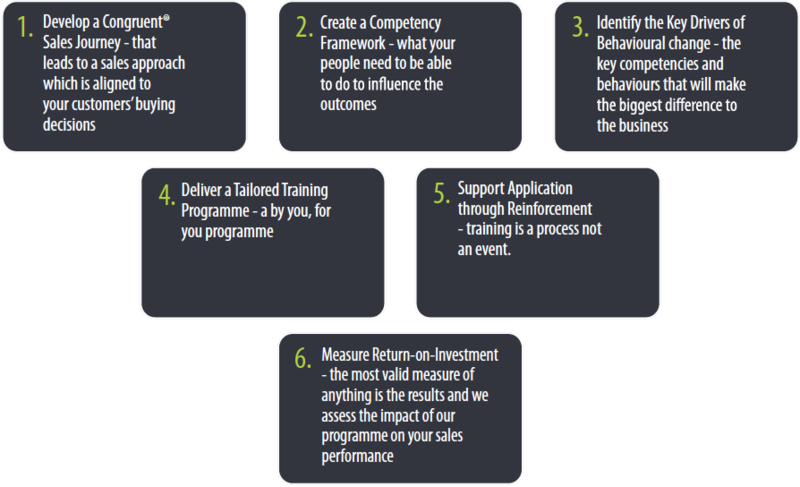 A Sales Acceleration Programme allows you to identify what those key elements are, the best way to approach them for your business, and the tools and skills required to deliver greater opportunity and higher growth. Creating a Customised Sales Acceleration Programme with Developed Edge allows you to train your sales organisation, secure in the knowledge that the content is tailored to your customers, your company, and your team. This isn’t an off-the-shelf product. It’s not one-size-fits-all. It’s a programme by you, for you, which offers a company specific approach to selling, backed by the experience and insight of senior industry professionals.